Expansive 5,300 sq. 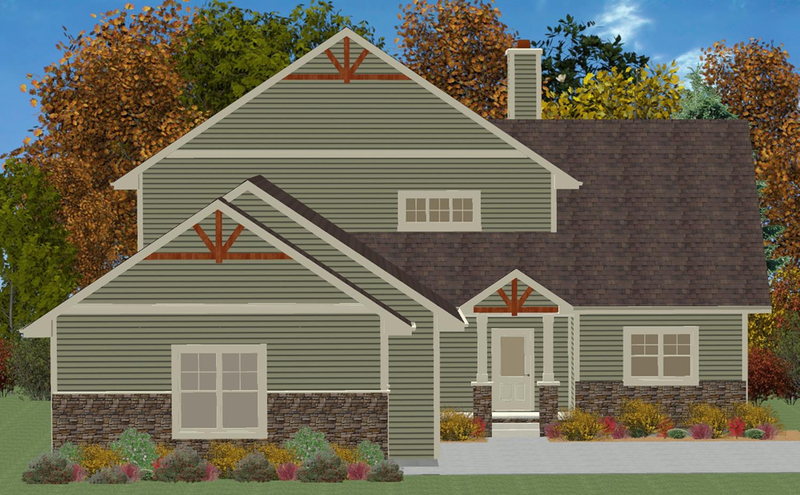 ft. home designed specifically for an active family. Main floor and second level includes 4 bed¬rooms, 4 bathrooms, kids playroom, home office, and 3-season porch with wood burning fireplace. Finished lower level features another home office, craft room, bathroom and family game room with a walk-up beverage area and wood burning fireplace. A combination of painted and stained birch custom cabinetry throughout. Unique water feature in front entry foyer. Open kitchen with 2 islands, Cambria counter tops, home office, and large walk-in pantry. Solid birch hardwood flooring throughout main floor. Spacious master suite with walk-in closet, soaking tub and custom tile shower with glass surround. Real stone and Smartside exterior with cedar gable accents. Copyright © 2013-2019 Jeremy Voigt Construction | Virtualtech Website Design and Promotion, Inc.